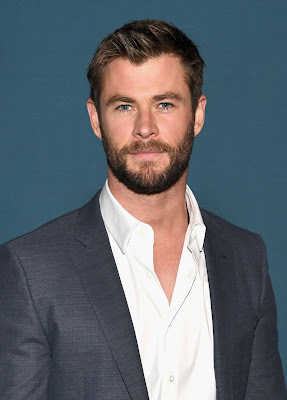 In the third slice of beauty news to drop featuring famous male faces thus this year, Swisse Wellness today announced a global partnership with international actor and all round good Aussie bloke, Chris Hemsworth. Swisse’s newest Global Brand Ambassador, Hemsworth a team of famous faces that includes highly-acclaimed Australian actress and long-term ambassador Nicole Kidman and All Black Captain, Kieran Read. “The Swisse message of living healthier and happier aligns with my personal goals. I am looking forward to working with a company that shares these core values,” Hemsworth added, and I for one am excited to see what the pair cooks up together. “We are looking forward to drawing out that core philosophy of our premium natural ingredients combined with the aspirations of living a better life and achieving one’s personal goals. Through Chris’s ambassador role we will work together to bring to life our heritage story and the foundations of our brand, and of course our signature line, ‘Celebrate Life Every Day’ (CLED),” Brichard-Rooney concluded. The global marketing campaign featuring Hemsworth will include television and advertising commercials, as well as content-led social media, so keep your eyes peeled from here on in.